Want to forward an iMessage to a friend, or find out the exact time you received a specific text message? No problem. Also: how to silence a group conversation that just won’t stop. You can forward an iMessage in just a few taps. So, you just got a text message or iMessage that you’d like to forward to someone else. You could try simply copying and pasting the message, but there’s an easier way. Tap and hold the message until a little black pop-up appears, then tap the “More” button within the pop-up. All the messages in the thread should have scooted a bit to the right, revealing “select” buttons on the left side of the screen, and the message you tapped and held should already be selected. Go ahead and select more messages, if you wish. Tap the “Forward” button (it looks like a curved arrow) in the bottom-right corner of the screen; when you do, the message (or messages) you selected will appear in a new message window. Add one or more recipients in the “To” line, then tap “Send” when you’re ready. 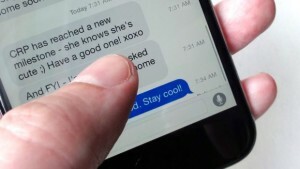 Yes, there are timestamps for each and every message in an iMessage thread, but you’ll need to swipe to reveal them. If you glance at one of the busier message threads in the Messages app, you’ll see dates and times (a.k.a. “timestamps”) telling you roughly when a particular exchange occurred. But what if you want to know the precise time when a given message was received or sent? Try this: swipe the display from right to left, holding your fingertip to the screen at the end of your swipe. 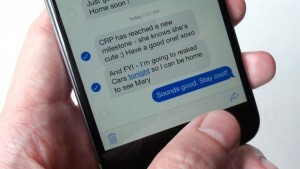 Doing so will pull your sent messages (the ones in blue or green, depending on whether your messages were sent as iMessages or garden-variety text messages) to the left, revealing timestamps for each message on the right side of the screen. What’s with all the random text messages that just started appearing in iMessage? Most likely, a friend added you to a group iMessage or text-message thread, and now you’re the lucky (or not) recipient of each and every reply. 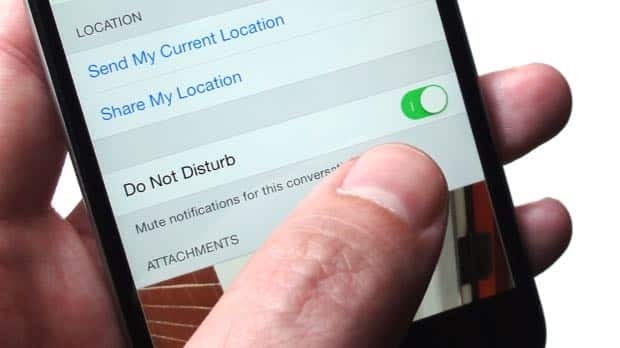 To mute an annoying group message, open the thread, tap Details in the top-right corner of the screen, then flip on the Do Not Disturb switch. Ah, sweet silence.